We were lucky enough to go to the opening night of ‘Quest For Oz’ last night…and it was fantastic! It is the new visual event from the makers of Dragons of Drummohr .More adventures, more augmented reality, more theatrics for all the family! After completing their Dragon trilogy with last year’s Dragons of Drummohr, Edinburgh’s innovative theatre company Vision Mechanics are turning their attention to one of the most beloved stories of all time, transforming the grounds of Drummohr House into the Land of Oz. 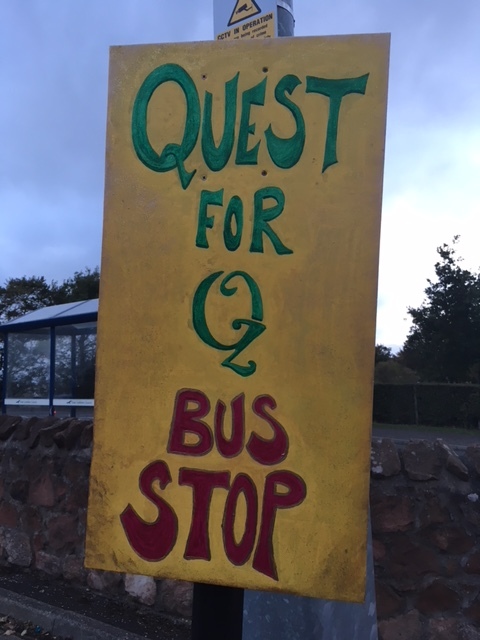 Audiences meet at the Wallyford Park & Ride, 33 The Loan, Wallyford, Musselburgh EH21 8BU, where the free Emerald City Shuttle Bus will be there to take you to the world of Oz. Audiences are challenged to reunite the warring kingdom of Oz. Using the Quest for Oz app, the task is to search the grounds for the yellow bricks that The Tin Man, The Scarecrow and the Lion have saved, to try and rebuild the yellow brick road. As well as the task at hand, you will experience the Carnival of Dreams, step into the Bubble Garden of Glinda the Good, lose yourself in the Mind Maze, test your courage in the Blue Witch Badlands, and meet the Marvellous Professor Marvel. 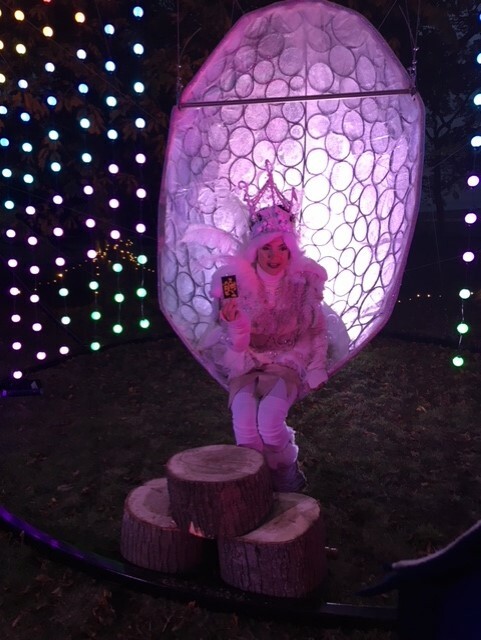 We loved wandering around the amazingly lit up installation at night….the kids racing ahead to try and find all the pictures of bricks to use with the app. Be warned though – the app uses quite a lot of phone battery, so download it before you come along and make sure you’ve charged your phone fully to avoid disappointment !!! 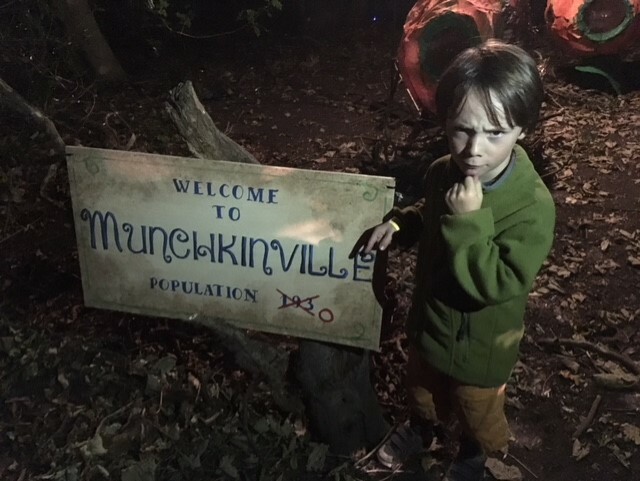 We spent over two hours collecting bricks and interacting with this incredible event……the kids were busily chatting away in the Emerald City shuttle bus about all the brilliant things they’d seen and how much fun they’d had ! The details in the costumes, set design and particularly the lighting are well worth a visit just in itself….go and immerse yourself in a very exciting adventure ! Highly, highly recommended…the later you go at night, the better it sparkles !! Good luck….